Our dedication to you doesn’t end once you drive off the lot in your new ride either. That’s because our state-of-the-art Flowood Kia service center can handle everything from routine maintenance to complex auto repairs. Have our skilled technicians perform an oil change, rotate your tires, or repair your car after an accident. After all, your vehicle is not just a mode of transportation-it’s an investment that you should take great care of. In some cases, it can be a place to share memories and quality time with friends and family. 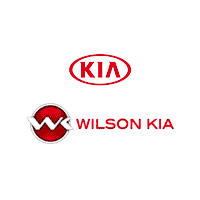 Wilson Kia is happy to tell you that we’ve been serving the Jackson MS, Lakeland, and Flowood areas for longer than many of you might have owned your current car. Our team always treats you like the most important customer… because you are! Of course the best way to find out about the wonderful experience you’ll have at Wilson Kia is to explore our new Kia models, used cars, or service department in person. Feel free to visit us during our convenient hours, or give us a call today at 601-914-4204 to learn more about what Wilson Kia can do for Jackson and Lakeland area drivers.